I'm Canadian, born and raised (woohoo!) so it's normal for me to have an obsession with maple syrup, right? Just like how my chocolate obsession is normal. 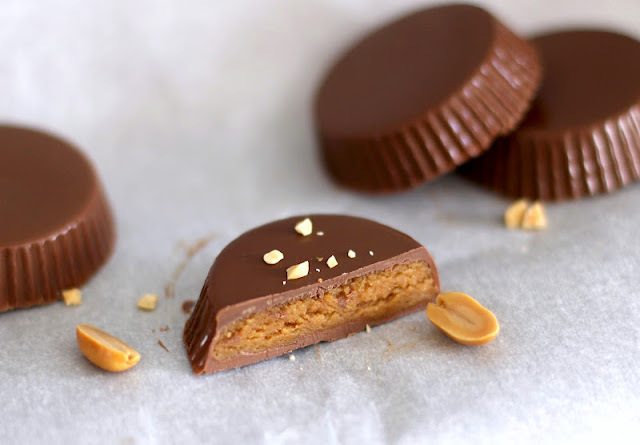 So I combined my obsessions along with some peanut butter to make Reese's PB Cups on crack. You would be crazy to ever go back to the storebought kind after trying these. 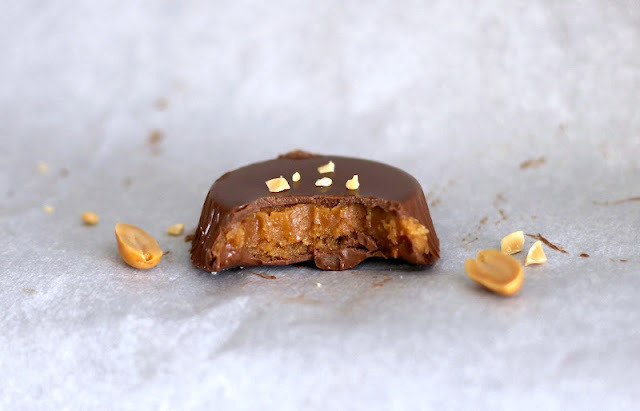 Super sweet and oh so creamy, they just melt in your mouth. 1. 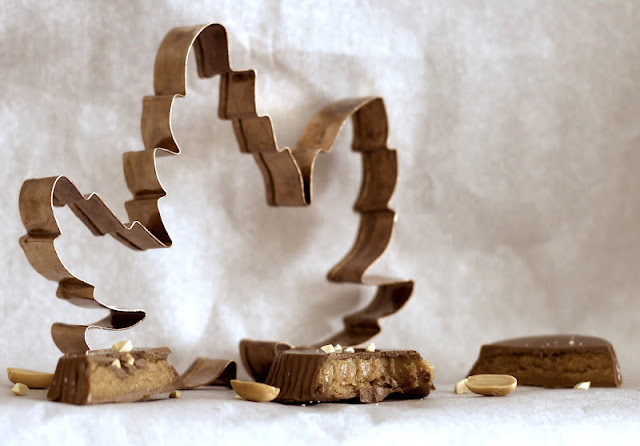 Spread the chocolate in this mold or muffin liners, creating a base and walls. 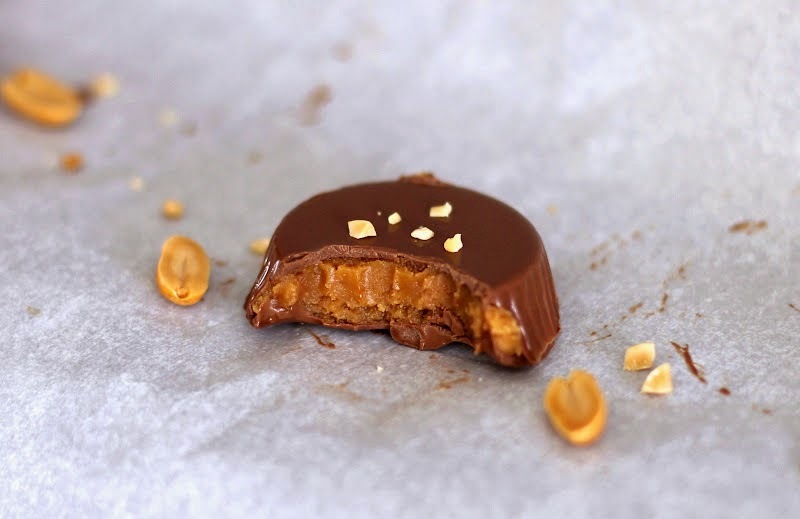 Refrigerate for about 40 minutes or until chocolate is completely hardened. 2. 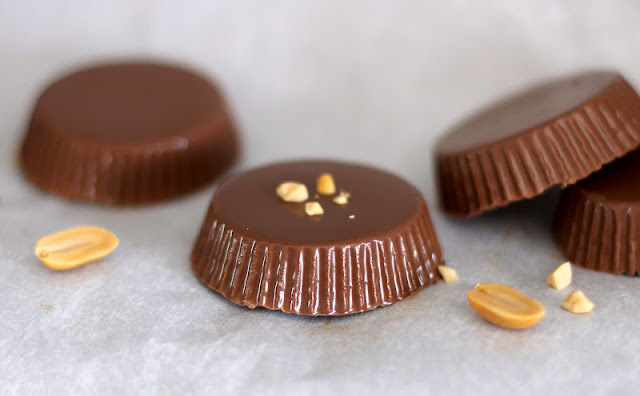 Fill the molds with the peanut butter and spoon some chocolate over to coat. Refrigerate for 2-3 hours or overnight (I refrigerated overnight). When completely hardened, pop the cups onto a serving plate and enjoy! You must double (quadruple?) the recipe. This is one serious crowd pleaser, people will come back again and again! Lots of loves from Spain! loving this canadian theme you have going... it's making me proud! As a Canadian (now living in France) I think it's safe to say that the obsession with maple syrup is in our blood. There is no substitute for it, and anyone who uses an alternative is committing a terrible crime!